totting and exceptional hardship arguments. Sophie regularly represents people direct through the public access scheme. Healthcare – Sophie has appeared on behalf of the Nursing and Midwifery Council as a case presenter. Education – Sophie has also conducted and advised on appeals against school exclusion decisions, infant class size appeals and school admissions appeals. 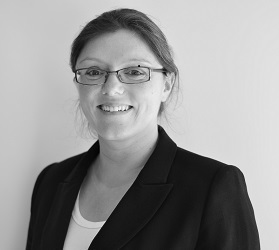 In her civil practice Sophie has acted in personal injury trials, and advised on issues of liability and quantum in writing. She also has experience in cases involving credit hire and damages for loss of use, and co-presents a seminar on the subject. The defendant was alleged to have sexually assaulted a work colleague. A conviction would have meant the defendant’s dismissal from his long term employment and loss of his pension. The defendant was acquitted by the jury. The defendant was accused of stabbing his partner. Following trial the jury found him not guilty. The defendant was accused of breaking the arm of a female. The jury heard multiple witness accounts, both for and against the defendant. The jury accepted that she was acting in defence of her young son and found her not guilty. The defendant was charged, along with 6 others, with Affray – borne out of a violent disturbance at a night club event which had been promoted and run by the defendant. Following guilty pleas from some of the co-defendant’s, and a cut throat trial with those still maintaining not guilty pleas, SA was found not guilty. The defendant was an alcoholic with significant mental health problems. He pleaded guilty and avoided an immediate custodial sentence as a result of his extensive mitigation. The case against the defendant was stopped following a successful submission of no case to answer, resulting in the acquittal of the defendant. R v RY and another 2017 – Oxford Crown Court – Perverting the course of justice. The defendant admitted perverting the course of justice by deliberately nominating a family member as the driver of his car in order to avoid a totting disqualification. Strong mitigation helped him to avoid an immediate custodial sentence. A multi-handed trial following disagreements between different local communities. The jury returned mixed verdicts, reducing the overall length of sentence for this defendant. R v ES and others – 2013 Reading Crown Court – False imprisonment. 5 week, multi-handed trial involving allegations of “honour based violence” against the daughter of the family. Successful appeal against conviction whereby the Appellant was found to have a good reason [medical emergency] to drive on the hard shoulder of a motorway. Detailed cross examination of the traffic officer who stopped the Appellant helped persuade the Judge and lay magistrates that the statutory defence was made out. Successful appeal against a sentence of 3 years imprisonment for the offence of causing serious injury by dangerous driving. The custodial term was reduced, as well as the length of the driving disqualification. Following receipt of and submissions about the defence expert report concerning the defendant’s over inflated tyres and the impact such inflation would have had on the car’s handling on the motorway, the Crown accepted a plea to the lesser offence of simple dangerous driving. This led to a significant reduction to the sentence the defendant received. BF v R 2016 – Croydon Crown Court – Appeal against sentence (exceptional hardship). Successful appeal against sentence where the Appellant was a “totter”. The Crown Court found that exceptional hardship would be caused to his business and those he employed if he was disqualified. The court used it’s discretion to reduce the “totting disqualification” down to the period of time the Appellant had been unable to drive as a result of the Magistrates decision, meaning he was able to drive again immediately and his previous points had been wiped off his licence.